Welcome to A Sampling Bee! Today, I share with you Farmer's Pantry Cornbread Crisps! These Cornbread crisps are made from one of the oldest and most popular American food staples- freshly baked cornbread. The crisps are thinly sliced and toasted to a crispy perfection. Farmer's Pantry Cornbread Crisps are baked. Never fried. 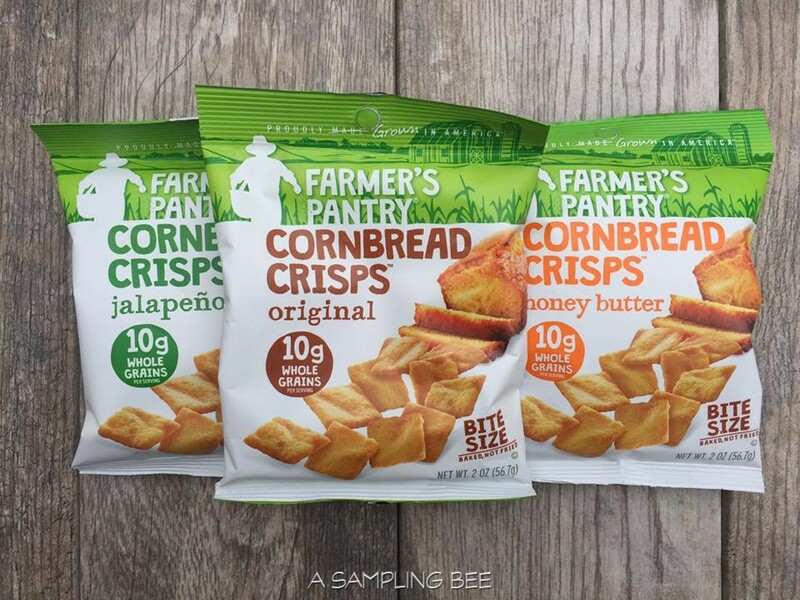 Farmer's Pantry Cornbread Crisps come in 3 yummy flavors: Original, Honey Butter and Jalapeno. 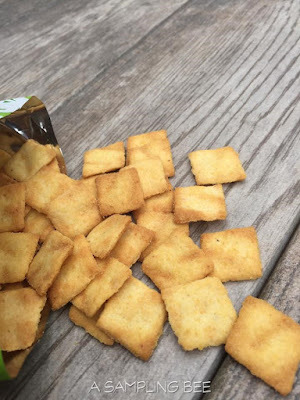 These cornbread crisps are bite-sized and full of yummy flavor. This hearty, crunchy snacks made with wholesome ingredients you can identify, is grown exclusively on American farms. Cornbread Crisps are made from real corn - just like the corn found in a farmer's pantry. I love these cornbread crisps. It's just like eating a cornbread muffin but without the crumby mess. 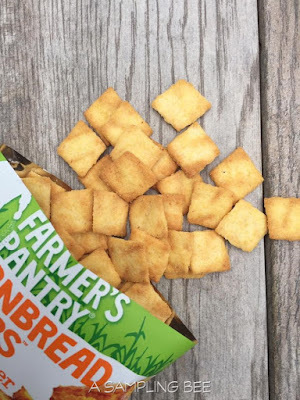 Farmer's Pantry Cornbread Crisps are crunchy and perfect for dipping. Or, by themselves, right out of the bag. I really like the honey butter flavor. They're slightly sweet. The jalapeno flavor is good, too because they are spicy. Farmer's Pantry Cornbread Crisps are available in bite-size pieces as well as larger pieces. These crisps are loved by everyone in my home! 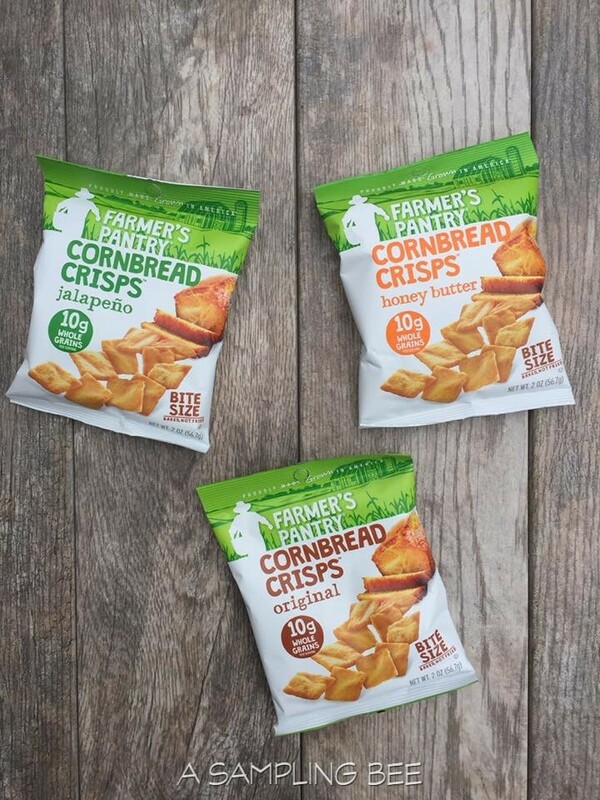 Farmer's Pantry Cornbread Crisps are available at your local Walmart. Grab a few bag today and enjoy them with a yummy dip! I received Farmer's Pantry Cornbread Crisps in exchange for my honest review. All opinions are my own. Always! Visit http://www.farmerspantry.farm/ for more information.